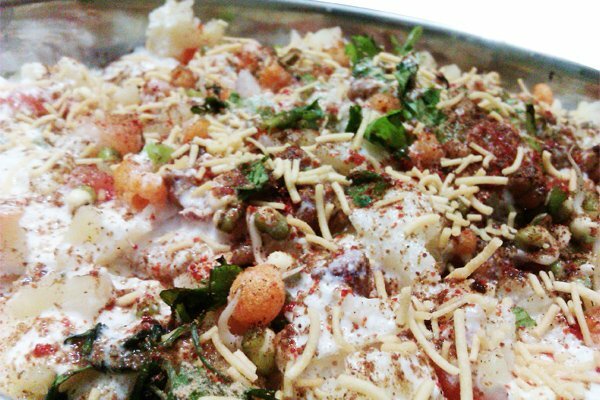 Dahi Papdi Chaat is very famous in north and loved by all. Add boondi and salt to yogurt and whisk till smooth. Keep it in the refrigerator till use. Arrange 8 papdis in 4 plates each. Place some onions, tomato on each papdi. Over that add some yogurt. Now place potatoes over it and top it all up with chilled yogurt. Sprinkle chaat masala, red chilly powder and some salt. Drizzle some sev onto it. Garnish it with coriander leaves and serve immediately. Make this as close as serving time as papdis will get soft. You can use tamarind chutney, green chutney, chilly garlic chutney of your choice. You can also add sprouted moong to make this healthy. Next Next post: Intestine – What to eat and Why?